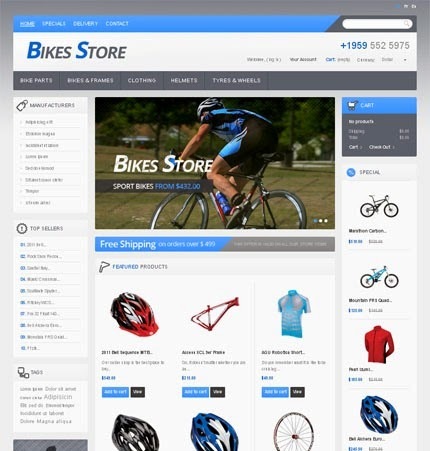 Collections of Best Free PrestaShop Themes and Templates for your PrestaShop ecommerce site. 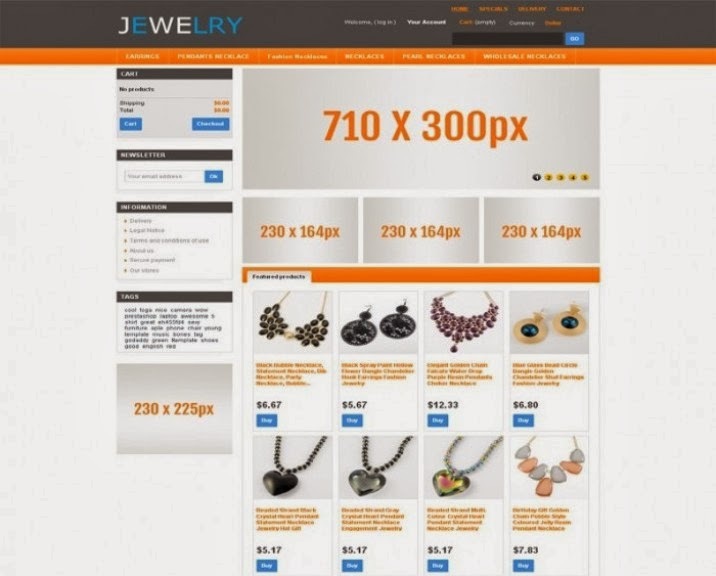 OT Jewelry is a free prestashop theme with clean design. 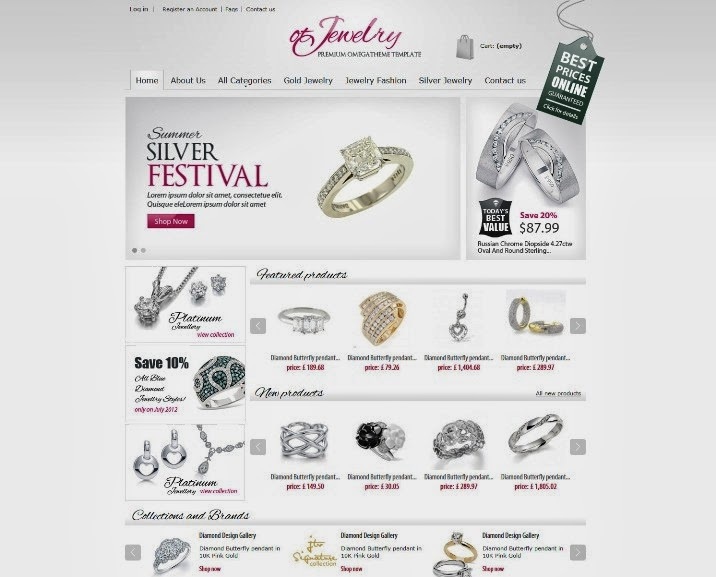 It is designed for any jewelry online store and you can use it for any type of web-store. Features included: 100% tableless CSS, with changeable width of theme, Prestashop 1.4, Tested in (IE7+, Firefox, Chrome, Safari and Opera browsers), Modules included, theme column layout and more. The theme is based on 2 columns, with simple colors for an easy and quickly customization. Features are Full HTML5 & CSS3 theme, Applicable for multi-store and multi-languages, Successful W3C validation, 6 responsive modules fully customizable, Browser and Device Support (Chrome, Firefox, Opera, Safari, IE7+, iOS, Android 2+, Windows Phone 7), Completely customizable and more. 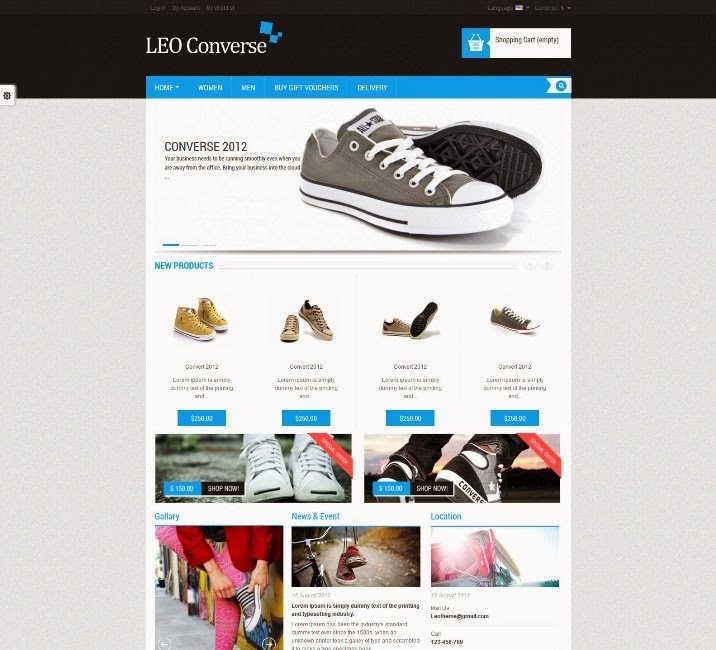 Leo Converse is a free prestashop theme for online Fashion Shop, clothes Shop, Shoes Shop, Bags Store. It is compatible with Prestashop 1.5.x. The theme features are 100% responsive design so it looks great not only in Destop, but also in Mobile and Tablet. COOL PUTIH is a free prestashop theme with One column layout, fixed width 980px, Beautiful effects on product mouseover and shopping cart block, Homepage slider, Has been tested on some modern browsers : IE9, Firefox, Chrome, Opera, Safari. (won’t work perfectly on older version of IE) and more. 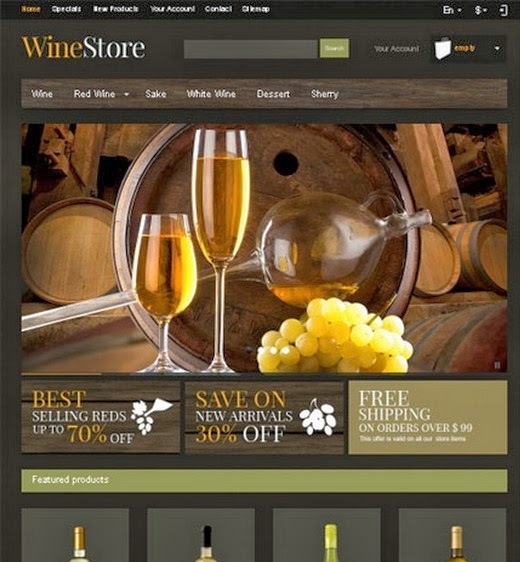 WineStore is a Free Responsive PrestaShop Theme for Online Stores. OT Valupat is designed for any technical stores With its clean design and lot of features. The theme Features are 100% tableless CSS, with changeable width of theme, theme column layout, Modules included, Validates with XHTML 1.0 Transitional, Prestashop 1.5.5.0, Tested in (IE7+, Firefox, Chrome, Safari and Opera browsers) and more. 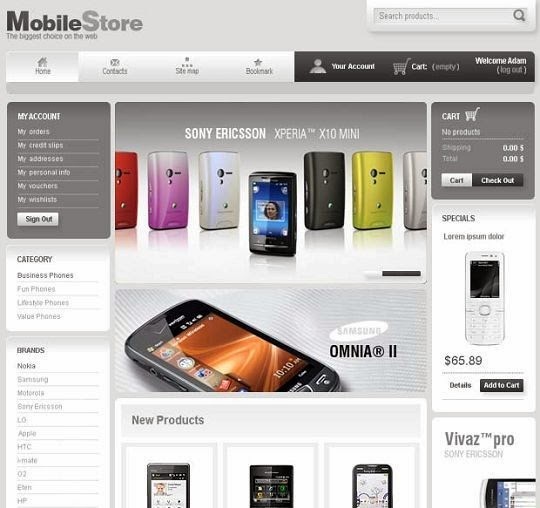 MobileStore is a Free PrestaShop Temlplate for Mobile Online Store and Technical Stores. 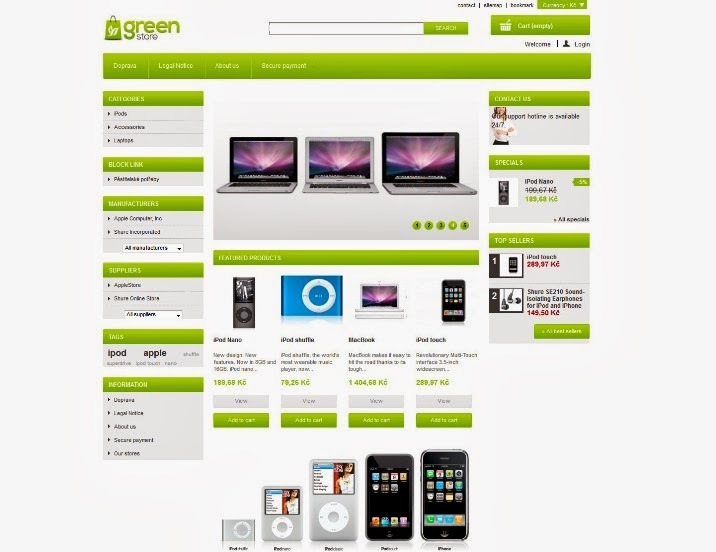 Greenstore is a free prestashop theme. Colour: Light green with grey. 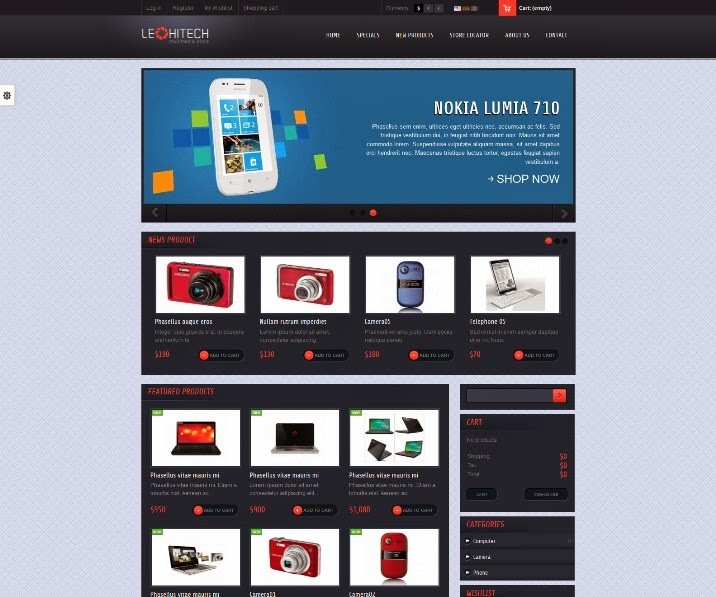 Leo Tshirt is a free prestashop theme for online Hitech Shop, Computer Shop, mobile Shops.The Theme has bright layout and strict layout at the same time which makes a proper effect on customer. Template design accentuate the refined style of goods sold. 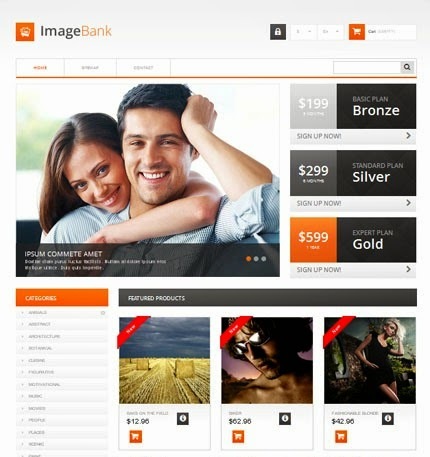 ImageBank is a Free Responsive Bootstrap 3 PrestaShop Theme. 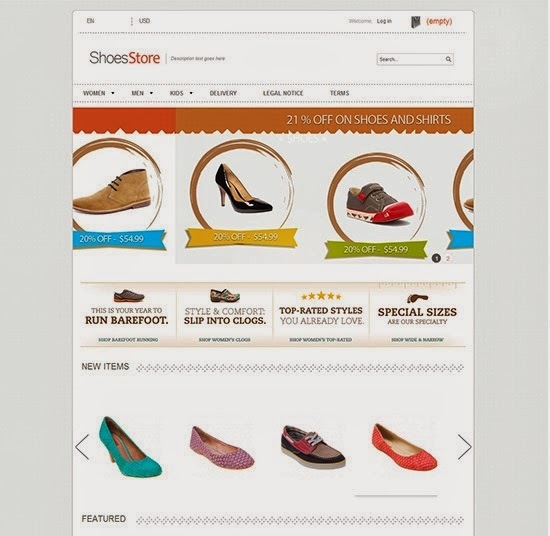 ShoesStore is a Free Minimalist Prestashop Theme. 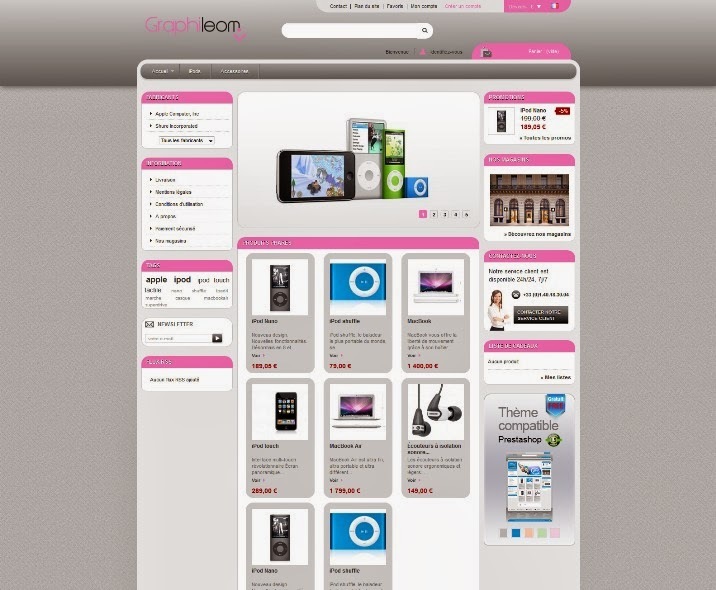 This Theme Compatible with the latest version of Prestashop (1.5.5). Features are Mega Top Menu, jQuery Slideshow on the Homepage, Slider with the latest products on the homepage, Advertising banners and more. 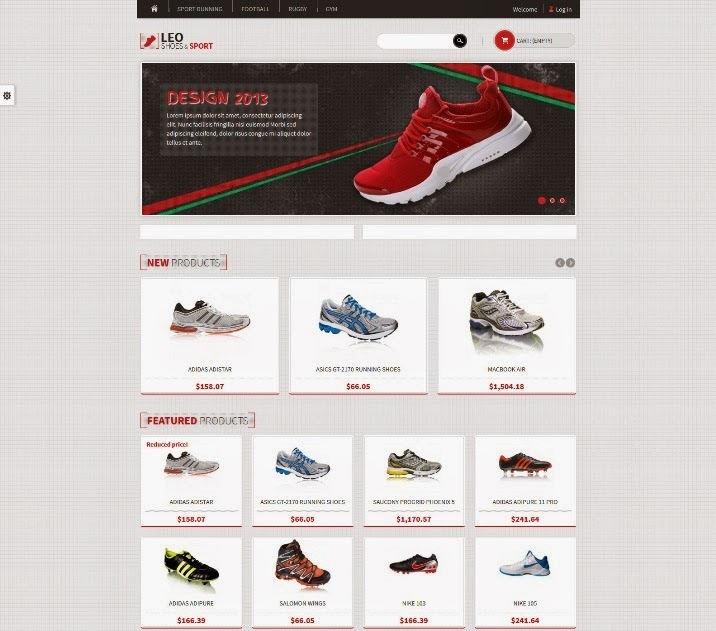 Leo Sport Shoes is an amazing Free responsive theme for your Online Stores. Based on Leo Framework – a powerful responsive Prestashop framework, This template is a responsive design, bright and strict at the same time which makes a proper effect on customer. Clothes is a Free Bootstrap Prestashop Theme. 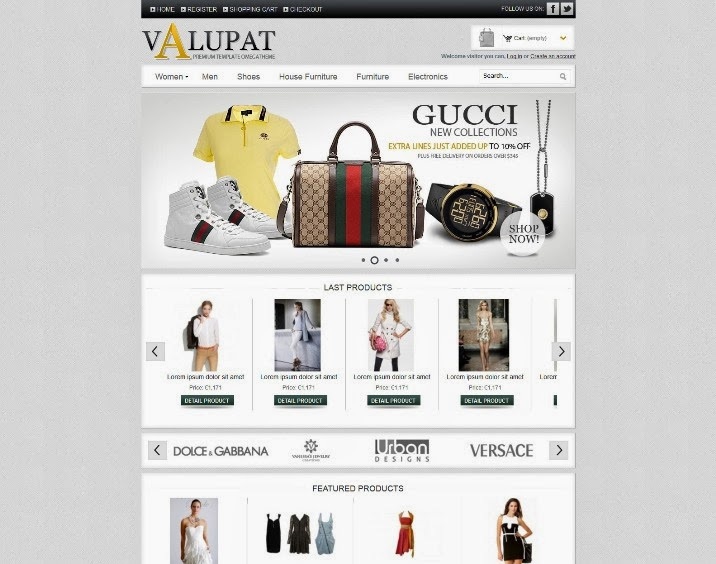 Fashion Bird – It’s two column website with front banner with features product. This totally free to use. 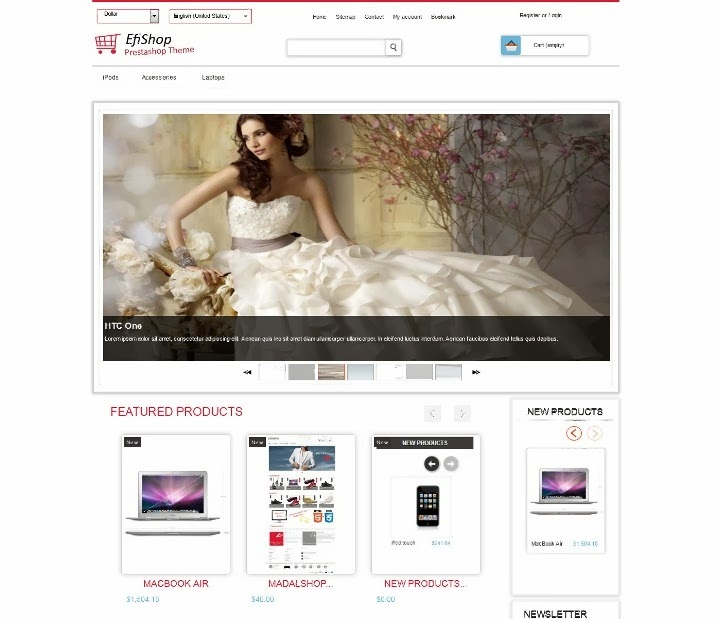 This is fashion related theme and compatible up to prestashop 1.5..4.1. Features are Front Banner, Responsive Template, Quick Cart, Browser Compatible (IE, FF, Safari, Opera and Chrome) and more. 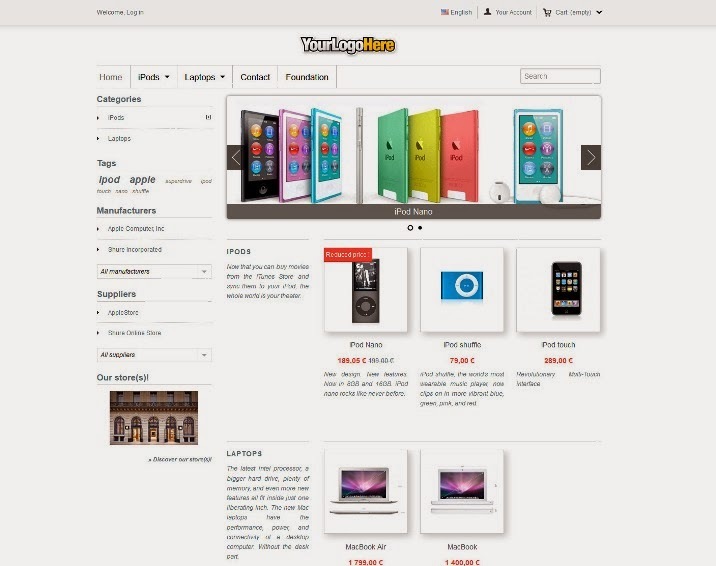 Efishop free simple theme for Prestashop 1.5.x is based on 1 column homepage and 2 columns on product-list and product page. Features are Featured Products with carousel, Multi language banners, Slidershow on homepage, Ajax add to cart, New Products vertical slider and more. 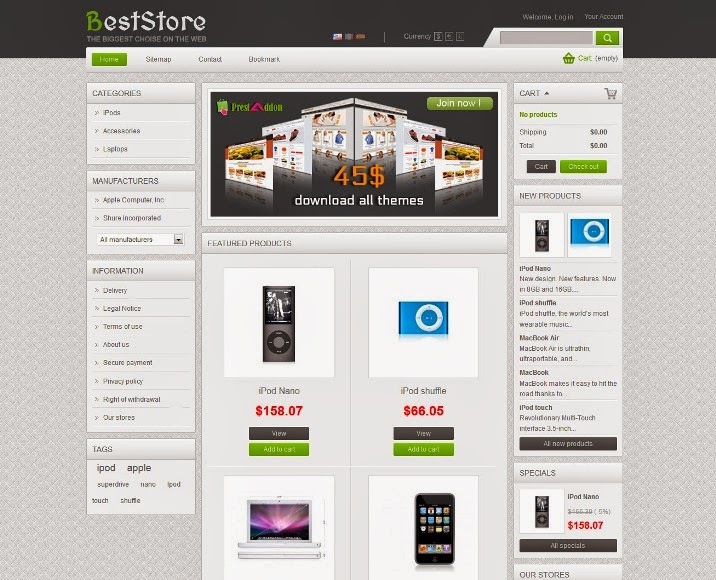 PZone is a free prestashop theme for online stores. Features are HTML5, CSS3, Compatible with all major browsers(IE7, IE8, FireFox, Safari, Chrome), Optimized for fast loading, W3C HTML & CSS validated, Easily customize with PSD files and more.